AcuityPlus is the longest tenured transparent classification system in the industry and the ONLY system that allows you to continually improve productivity and identify best practice opportunities by comparing your acuity data with other organizations. The AcuityPlus methodology for patient acuity-based staffing was innovated in the 1970s and is continually improved and validated. We use existing clinical documentation to determine patient acuity, complexity, and resulting workload demands in real-time. We are committed to the most intensive, most precise and most frequent validation process so that you can confidently determine appropriate staffing and justify those decisions with concrete evidence. AcuityPlus combines research-based patient classification methodologies and a unique staffing framework. We offer five acuity-based staffing methodologies as well as custom methodologies. Each methodology is founded on the most relevant evidenced-based research, and is tested and validated by existing clients across all care settings. With over 45 years of on-going, real-world product testing, we are confident that our acuity-based staffing solution yields the most valid and reliable results. Applicable to medical/surgical and subspecialty populations, such as critical care, pediatrics, rehabilitation, step down and other clinical specialties, regardless of patient length of stay. The Inpatient methodology provides both acuity and a complexity of care measure for every patient. Applicable to psychiatric inpatient and partial hospitalization populations, including chemical dependency, child/adolescent, geriatric, medical and more. Based on the maternal and infant physiological stages, this methodology captures workload statistics regardless of service configurations. Detailed workload and staffing information is provided for each stage from antepartum through postpartum, and for the newborn infant. This methodology includes a procedural component to capture the workload associated with patient activities both prior to admission and during the patient admission stay. Specific to the Emergency Department patient population, this methodology’s data outputs include patient acuity and suggested staffing levels, as well as LOS and utilization information. The methodology includes options to capture workload in multiple phases of care. This includes an option to incorporate the Triage workload, and to capture patient needs during the visit stage and inpatient stage (post visit care time). Captures and tracks patient volume and workload in the clinic setting, providing information to measure and evaluate resource allocation. This methodology also features wait and service time measures to assist with an evaluation and resolution of treatment delays. A framework to facilitate the entry of custom workload measurement methodologies for other departments, such as PACU, cardiac catheterization lab, pharmacy, radiology, housekeeping. The AcuityPlus National Benchmarking Data Book allows for unique multi-hospital and multi-year comparisons of operational statistics. The data book is valuable in identifying the trends in patient populations, workload, staffing patterns and care practices which affect productivity. By quantifying productivity issues, our National Benchmarking Data Book can help you identify opportunities to more efficiently manage resources in an increasingly challenging patient care delivery environment. This National Benchmarking Data Books are based on the use of the AcuityPlus workload measurement methodologies. The use of the objective and transportable AcuityPlus methodologies enable standard workload measurement across institutions. With the standard measurement of patient care workload, the AcuityPlus National Benchmarking Data Book provides managers with truly comparable workload, staffing and productivity statistics. 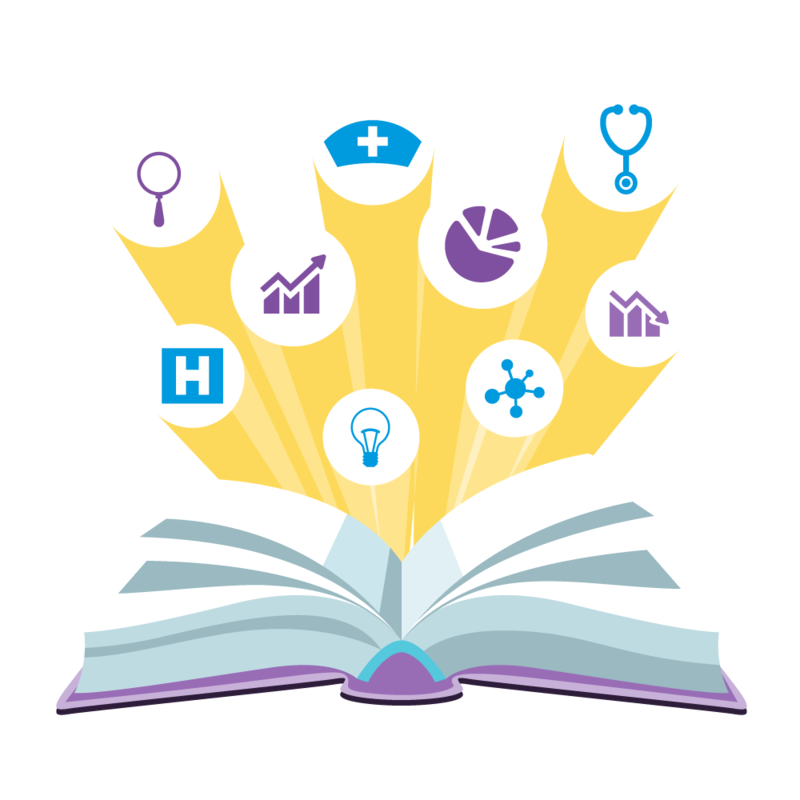 Harris Healthcare’s data books are the only acuity-adjusted benchmarking databases that provide direct comparisons not found in other benchmarking tools. We are committed to conducting ongoing research to continually demonstrate the value of patient acuity and complexity of care data. The annual compilation of data encompasses more than 44 distinct clinical specialties. Customized benchmarking reports allow you to benchmark your organization against a target peer group. This valuable information is provided at no charge for our current clients. Non-clients can request the information for a $500 charge. Request My Data Book Now! The AcuityPlus National Benchmarking Data Book is the only evidence-based benchmarking data book on the market.